Daily Breakfasts at hotels, manors and castles. Arrive to Dublin Airport where your driver will be waiting. Private transfer to the hotel. Meet your walking guide at the hotel at 10am. No visit to Ireland would be complete without a visit to the capital city of Dublin. Dublin has changed dramatically over the past twenty years and is now as cosmopolitan as any major European city. There is so much to see in Dublin that many guests decide to extend their stay and enjoy a day extra at their own pace. Meet your driver guide at the hotel at 10am. Your driver guide will first bring you to the Hill of Tara, the ancient Royal seat of Ireland where 142 High Kings were crowned. 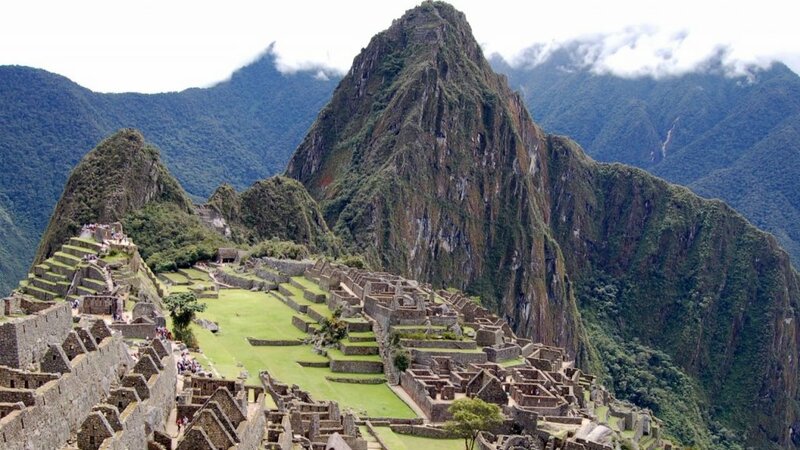 This was a political and religious center from early Celtic Times with spectacular ceremonial monuments. The next destination is the Hill of Slane, known as the ‘Cradle of Irish Christianity’, where the guide will take you through the handsome Georgian village of Slane to take tea in Slane Castle with Lord and Lady Mountcharles. We then visit the 5,000 year old passage grave at Newgrange, located in the Boyne Valley. A world listed heritage site, Newgrange is a Neolithic Ritual Center with architectural links to the prehistoric maritime peoples of Portugal, Northern Spain, Brittany, Denmark and the Western Isles. From this tomb, which is thousand years older than the Pyramids. From Newgrange, your driver guide brings you into the Boyne Valley for a leisurely tour along the banks of the river Boyne where he tells the story of the famous battle of the Boyne, a watershed in Irish and European history (it changed the balance of power in Europe from the French to the Dutch in 1690). Drive from Dublin to Cong and have a half day touring before getting you settled into Ashford Castle. Today have a day trip to Connemara. Visit Kylemore Abbey, an enchanting fairy-tale castle in the neo-Gothic style that stands dramatically at the foot of a barren mountain in a remote and beautiful part of Connemara – its numerous battlements and machicolated towers and turrets reflected in the waters of the lake below. For years this amazing house, now a convent, has been the most admired and photographed building in the West of Ireland. Continue towards Clifden and later to the Connemara National Park. Connemara is an area beloved by artists and poets who find magical inspiration in its wide open bogs and its towering cloud capped mountains. Cottages nestle into hillsides where wild looking sheep with thick fleeces and great curling horns freely graze. The rugged coastline is punctuated with little fishing villages, where you will see the traditional canvas built currachs and black hulled Galway Hookers moored beside the lobster pot strewn piers. Visit the Duc de Stacpoole at the Roundstone Art Gallery and partake in Estate Activities. Today make way to fast-growing Galway City, where you’ll have time to explore the major sites. Experience the beauty and heritage of Galway city with a Failte Ireland certified Tour Guide. A walking tour of Galway is the ideal way to find out more about the heritage and history of the city while also getting the local advice on the best places to dine out, socialize and explore during your stay in Galway City. Perfect for both visitors to Galway who would like to get more out of their stay. The highlights of a city tour include a visit to Spanish Arch, The Collegiate Church of St Nicholas, Lynches Window, Eyre Square, Augustinian Church and much more. Wander Galway City's cobble-stoned streets and feel yourself stepping back in time to Medieval Ireland. Known the world over for its friendly people, charming streets, shopping and nightlife, Galway will refresh flagging spirits like no other place. Visit the famous Galway Farmers Market in Church Lane for lots of great Irish delicacies and enjoy the wonderful atmosphere. 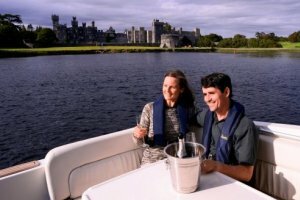 Say farewell to Ashford Castle, Cong and begin your drive south along the coast. The Burren is the highlight of today’s touring. The Burren, from the Gaelic word Boireann is an area of limestone rock covering imposing majestic mountains, and tranquil valleys with gently meandering streams. With its innate sense of spiritual peace, extraordinary array of flora and wildlife, and megalithic tombs and monuments older than Egypt’s pyramids, the Burren creates a tapestry of color and a seductively magical aura which few people leave without wanting to experience again. Start the day at 11:30am. Meet your walking guide at the hotel. From the beach at Kilkee sea cliffs extend all the way to Loop Head. These cliffs are nowhere near as high as Moher, but have the advantage of being totally wild and unspoiled. No visitors center, no parking charges. Must likely just you, the roaring ocean and the wind-swept treeless landscape. You can drive all the way from Kilkee to Loop Head, but you are much better off walking the last few miles. From there simply follow the clifftop trail all the way to the lighthouse at Loop Head. It is one of the best coastal walks in Ireland. And Loop Head itself is worthy of the effort. Not only is it remarkably pointy, on a clear day you can see across the Shannon estuary to Mount Brandon on the Dingle Peninsula. From Doonbeg to Killaloe is about 1h 30min drive. Set sail on Ireland’s Lakelands and experience Lough Derg from a whole new perspective on-board your Luxury Motor Yacht. Board your luxury motor yacht in the picturesque village of Killaloe, Co Clare. Witness a scenic tour by water of the villages of Ballina, Co Tipperary and Killaloe, Co Clare linked by their 13 Arch Bridge. Enter the wider lake of Lough Derg and take in the sights of the Tipperary and Clare hills to either side. Then enjoy Mountshannon – Scenic walk. Shortly after arrive with exclusive access to your architecturally designed contemporary lakeside villa, appropriately named “The Lakehouse”. Then enjoy a unique Irish Seafood Lunch as the family is highly recognized in the artisan fish sector. After lunch, board your yacht to Shibeen – for whiskey tasting and later return to the harbor. Cahir has a huge castle in a fine state of repair and a wonderful "Swiss Cottage" built as a folly in the Regency period. A Superb example of an early 19th C. "cottage orné". It is also a centre of antique shopping. The route brings you to Cashel, a limestone outcrop rising from the plain and crowned by the cathedral and round tower. 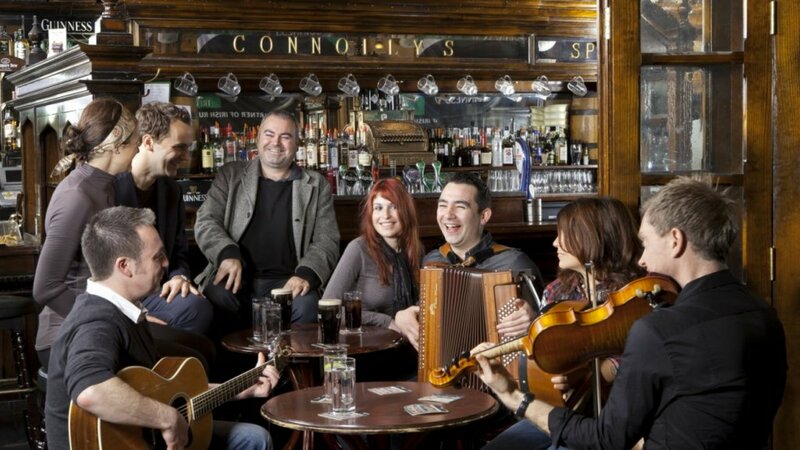 Sheltering at its foot is Bru Boru, a entertainment of Irish music and dance. The back road to Cahir, through Golden, will bring you past the riverside ruins of Athassel Abbey and the legendary Motte of Knockgraffon. The world famous Japanese Gardens are just outside Kildare Town in the 1,000 acre Tully estate, now known as The Irish National Stud. The gardens have been carefully preserved as one of the gems of Ireland’s Heritage. The significance of the Japanese Gardens is not only artistic and horticultural but also religious, philosophical and historical. St. Fiachra’s Garden was created to celebrate the Millenium. There are 4 acres of woodland and lakeside walks and hand crafted Waterford Crystal rocks and plants such as ferns and orchids. The National Stud is home to some of Ireland’s finest thoroughbred racehorses. HORSE RIDING at 9:00am at K club reception (2 hours private trail) Abbeyfield Farm is only 5 min from The K Club. Nestled in the beautiful countryside of Clane, Co. Kildare. Abbeyfield Farm offers a truly magical setting for pony and horse trekking and many outdoor activities. They cater for all levels, so whether you are starting at the basics and need riding lessons or you wish to try something a little more adventurous, we have something for everyone. Allow one of their guides to take you on a fun trek through their quiet country lanes and rolling countryside. With top quality equipment, expert tuition and the highest standard of safety.